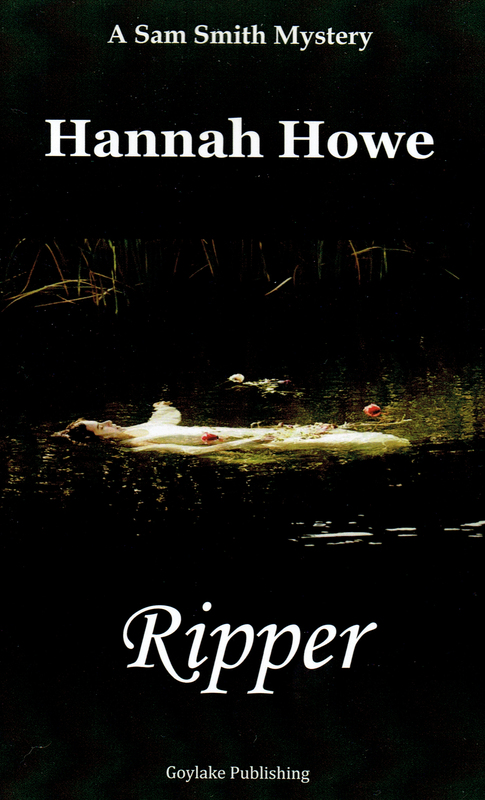 Ripper: A Sam Smith Mystery (The Sam Smith Mystery Series Book 4) by Hannah Howe is a well-paced engrossing, smartly-written read that is set in Wales with 33-year-old protagonist Sam Smith operating an inquiry agency. The story opens with a friend/client of Sam’s Julie, who works the streets, asking for her help in locating another call girl, Faye, who’s gone missing. Faye’s mother is rich which immediately introduces the question of why would the daughter of a wealthy woman who lives in a millionaire mansion be working the streets. Sam sets out to find Faye and the answer to that question. After visiting with Faye’s mother she obtains an address for Faye and the search begins. Referenced in the beginning pages is a murderer Cardiff Jack who is making it unsafe on the street. The intrigue is there, the plot is set, and the story is off to a great start. I particularly liked how we learned that Sam was a woman with a comment about a skirt she was wearing. We know for sure when we get to the chapter where she’s having a birthday dinner with her finance Dr. Alan Storey. Clever writing. And I love her cat, Marlowe who lives in her office. Sam follows the clues, which take her to Faye’s apartment in a ghetto neighborhood. There she runs into Faye’s pimp Blade, a threatening obnoxious man. While there she notices a name & address written on a pad of paper. It takes her to Mark Richmonds, a successful businessman and client of Faye’s. No leads have turned up anything of value as to Faye’s whereabouts and the plot thickens with the tension of a missing woman. The story moves into a dinner scene with Alan, Sam’s fiancé (a psychologist) and the dialogue deepens with talk of psychological reasoning for why a women, especially from wealthy means, would become a call girl. Alan’s profession adds to the storyline later when Sam asks him to profile a serial killer. I particularly liked the dialogue about the difference between a psycho and sociopath, which served to deepen the characterization of the plot’s villain. The story moves on and Sam goes out in the night looking for Faye. She senses she is being followed and there’s a creepy air flying off the page, wondering if it could be Cardiff Jack. It turns out to be a man named Mac, hired by Alan to protect her. She had been involved in a shooting altercation in her office at an earlier time and Alan wanted her protected. Mac’s character is well written and brings balance to the fear factor in the story, at times adding humor with how he tries to “reason” with Blade to get lost. He effectively makes his point. As the tension is building Sam finds Faye and they go out in the night to look for Julie. It is here when a horrible traumatic shocking event occurs (no spoilers here) and the tone of the story, the intensity picks up to a pressure cooker tension. New clues and characters are cleverly introduced keeping the reader guessing as to who is Cardiff Jack and how does this all end. Without retelling the rest of the story suffice it to say it continued to be mysterious, tense, riveting, and well written with unexpected turns right up to the end. I’m glad I happened upon this book. It did not disappoint.